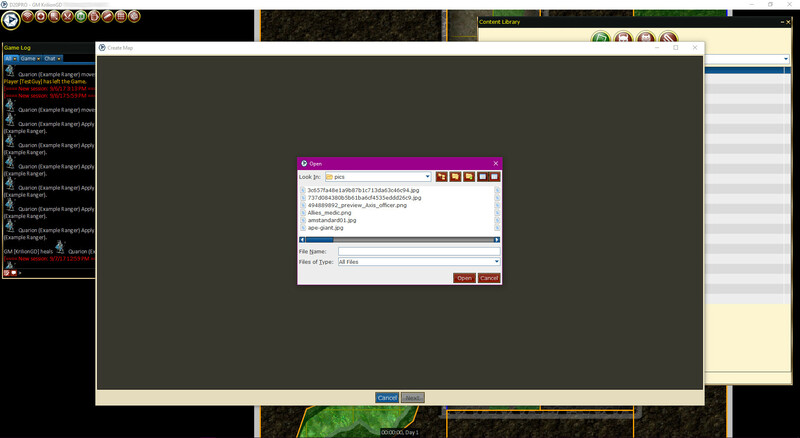 There is a bit of prep work involved in order to create a map. It's a good idea to do that in a graphics program, you can find suggestions for those in our Utilities Section. Cleaning up and preparing an image usually involves smudging out location markers, squaring off a non square image and scaling for grid alignment. 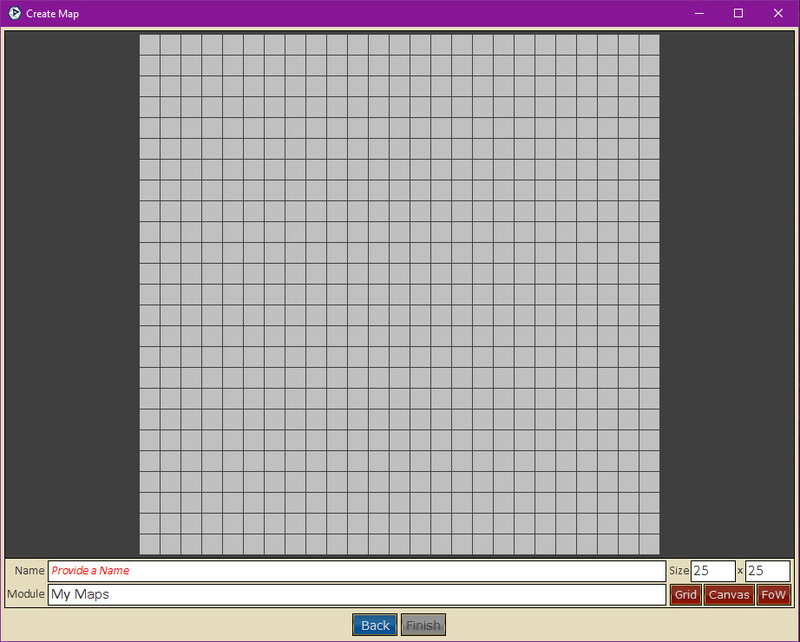 Create an empty map for use with tile based or simple mapping options. Please see Maps->Creation->Empty for full details. See Create from File Below. 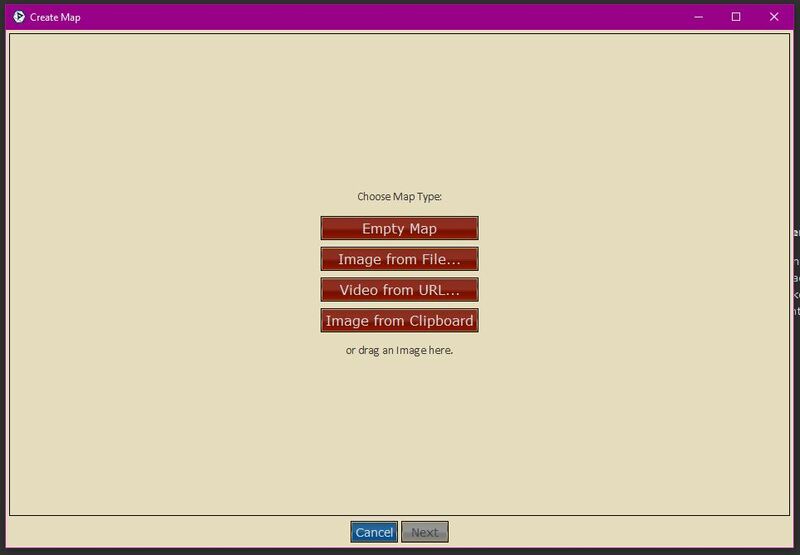 Create an map using an image file or image from the clipboard. Please see Maps->Creation->File for full details. Create an map using an Video URL. Please see Maps->Creation->Video URL for full details.